Keeping spills out of the stormwater system is vital, especially when there is potential for dangerous liquids to enter the stormwater system — and, after that, natural bodies of water. The Weighted Drain Cover is designed to block liquid from entering stormwater drains and is an effective and economical solution for fast spill containment. The Weighted Drain Cover can easily be placed over a stormwater drain during a spill; the gel filling provides the drain cover with substantial weight to prevent most harmful substances from entering the waterways. If you have a water-based spill that you would like to filter contaminants, see the Drain Warden. 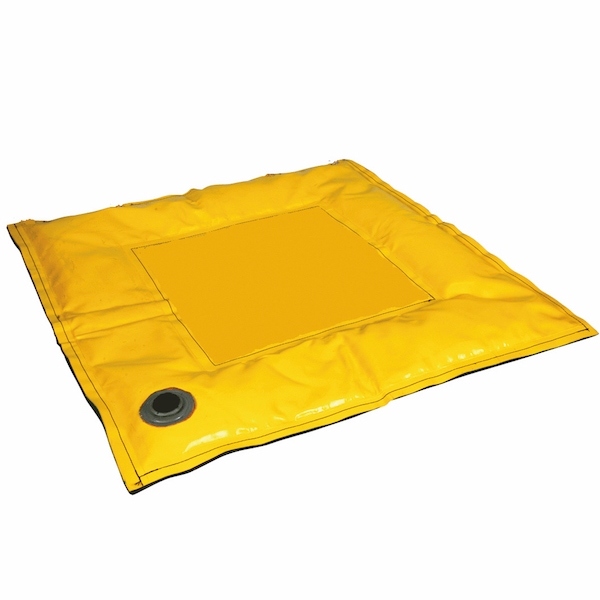 Easy to carry – can be rapidly moved to drain, placed on top and no liquids will enter the stormwater. Made from PVC, so it’s strong.